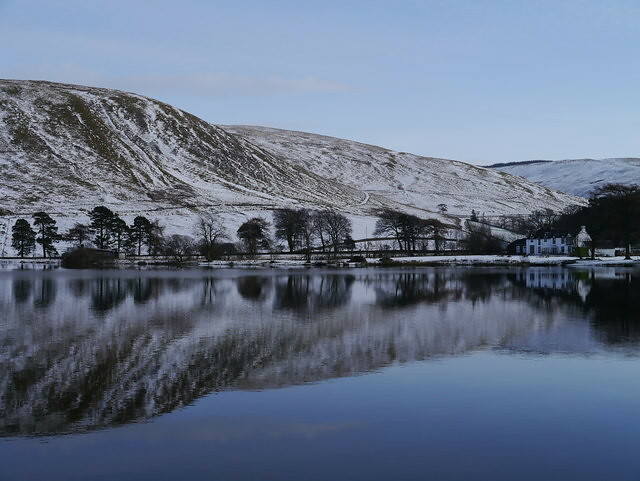 The A707 heads southwest from Selkirk to Moffat, following the beautiful Yarrow Water to St Mary's Loch, where the road is crossed by the Southern Upland Way. A few miles west of Selkirk is the turning south on to the B7009 which follows the course of the Ettrick Water to meet the B709, which continues south, past the village of Ettrick, to Eskdalemuir and on to Langholm. This is one of the most remote and beautiful parts of Scotland, and an area inextricably linked with James Hogg (1770-1835), 'The Ettrick Shepherd', who was a great friend of Sir Walter Scott. Hogg was a notable writer himself and his most famous work, The Confessions of a Justified Sinner, is important in Scottish literature. Hogg was born in Ettrick and spent his entire life in the Ettrick and Yarrow valleys. 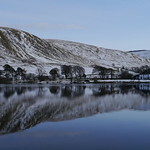 He and Scott would often meet in Tibbie Shiels Inn, Tel 01750-42231, on the narrow strip of land separating St Mary's Loch from the ethereal Loch of the Lowes. It's still a famous watering hole and popular stop along the Southern Upland Way. It also serves bar meals (Easter-Nov daily; Nov-Easter closed Mon, Tue, Wed). From Tibbie Shiels Inn you can follow the Southern Upland Way south to Ettrick Water, where an unclassified road leads east to the village of Ettrick, or continue southwest all the way down to Moffat. 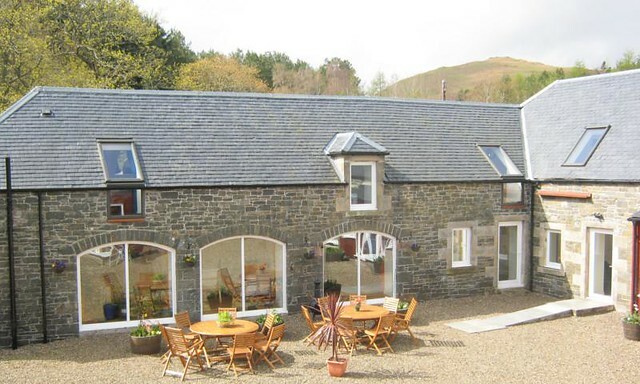 Alternatively, head north along the eastern shore of St Mary's Loch to the A708, then continue north to Traquair House, then east towards Yair Hill Forest, where you can turn south to the Broadmeadows Youth Hostel (see above). These are strenuous hikes and you should be fit and well equipped. At Cappercleuch, on the west shore of St Mary's Loch, a spectacular single-track road twists and turns its way up to the Megget Reservoir and then down past the Talla Reservoir to the tiny village of Tweedsmuir, on the A701. East of St Mary's Loch, the A708 is crossed by the B709 which runs north to Innerleithen and south and then east to Hawick. At the road junction is the E Gordon Arms Hotel (Tel 01750-82232), said to be the last meeting place of Scott and Hogg. It's a popular stopping point for walkers, and offers bar food and local ales.